Barrie and Alice have been in the Swimming Pool industry for over 25 years, first opening South Perth Pool Supplies (then SwimTek South Perth) in 1991 as there was no Pool Shop in the area. The South Perth shop still thrives today. 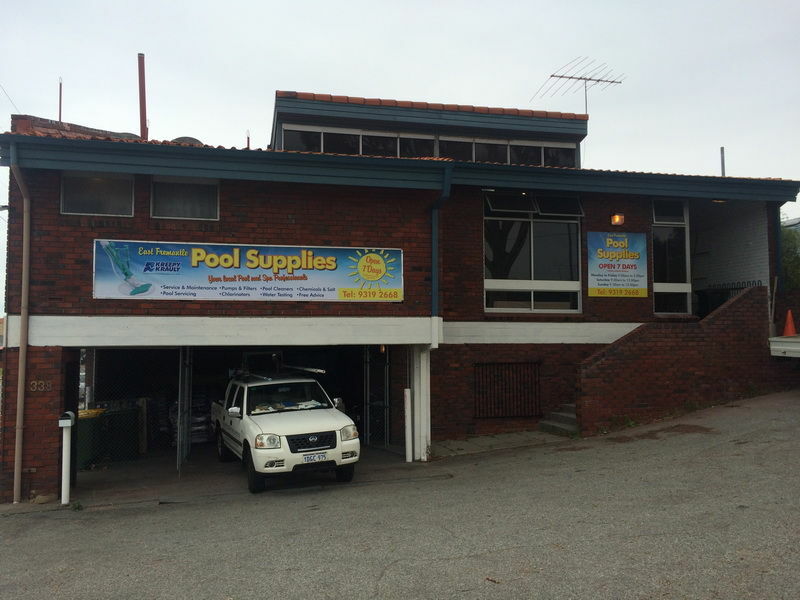 In 1999 the opportunity arose to purchase East Fremantle Pool Supplies from a long time friend and business partner. Being locals to the area Barrie and Alice jumped at the chance to secure the opportunity. Originally across the road from Stammers, the chance to move to the current location came up and this move was made. Both businesses are solely owned and operated by Barrie and Alice, and are truly a family venture with Amanda, Matt and Kristy (daughter, son, and daughter-in-law) taking an active role in the day-to-day running of both shops. East Fremantle Pool Supplies currently employs eight staff and all are treated as family. Bicton Primary School, Richmond Primary School, East Fremantle Cricket Club, and the Bicton/Palmyra RSL are just a few of the local community organisations that East Fremantle Pool Supplies have been an active contributor with sponsorships and donations. Please come in and speak to the family about your swimming pool needs and requirements.